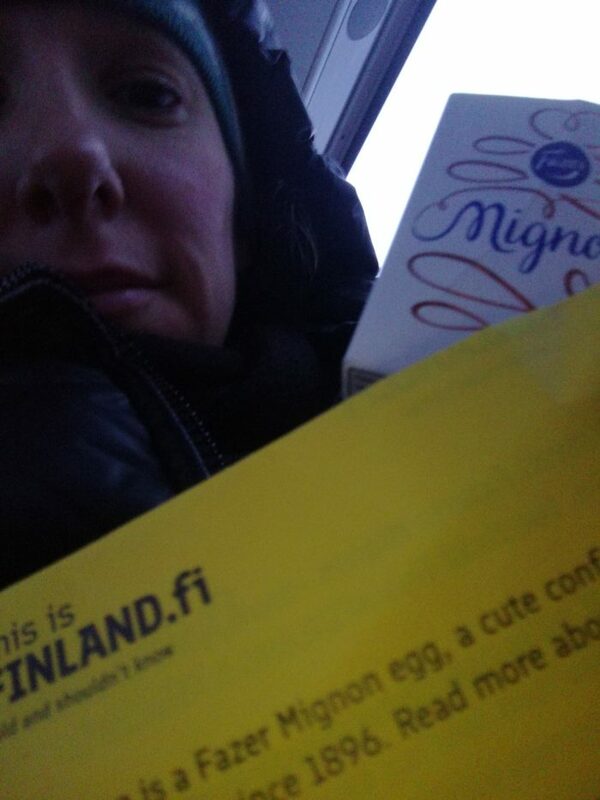 It’s practically springtime in Finland, and that means Easter and hidden Easter eggs. 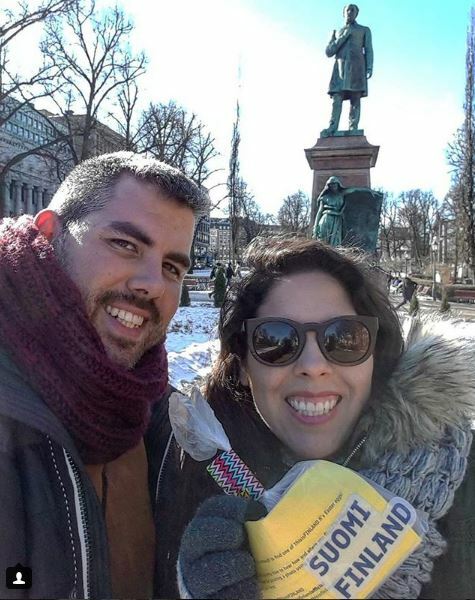 We went around the Finnish capital and further afield with dozens of candy eggs a couple days before Easter. 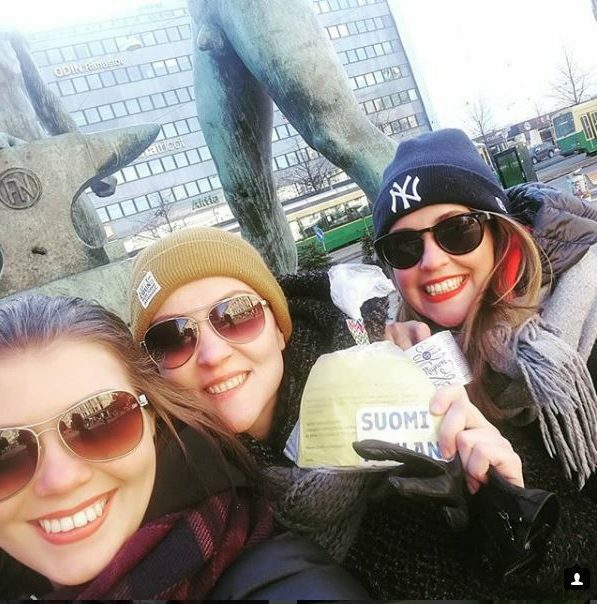 One of ThisisFINLAND’s Easter surprise packages, labelled “Suomi Finland,” was hiding in plain sight on Alexander Street, to the delight and chagrin of these statues. 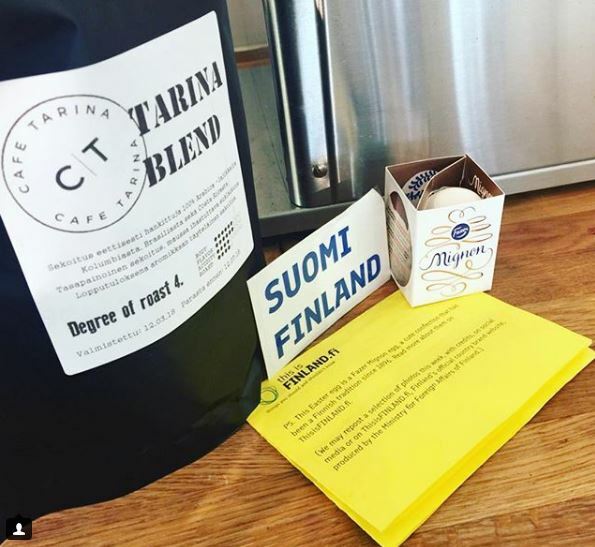 Each package contains a “Suomi Finland” sticker (“Suomi” is the Finnish word for “Finland”) and a Fazer Mignon egg, a cute confection that has been a Finnish tradition since 1896. 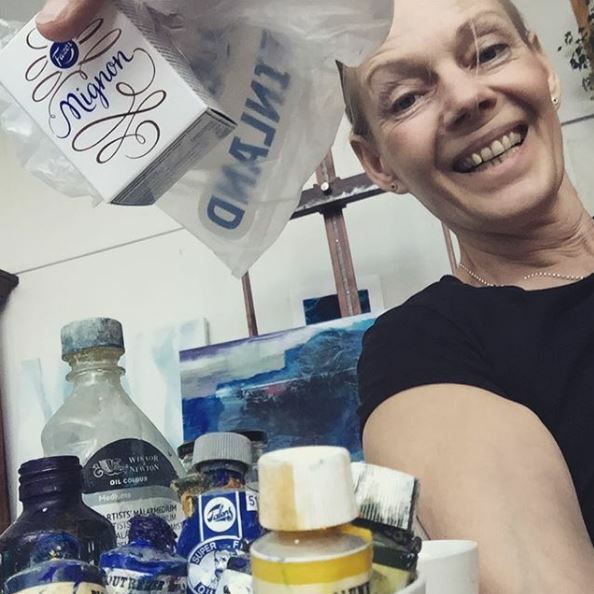 We can’t transmit chocolate eggs to you over an internet connection, but until the day when that becomes possible, check out our video and the photos sent in by the lucky people who found the eggs. 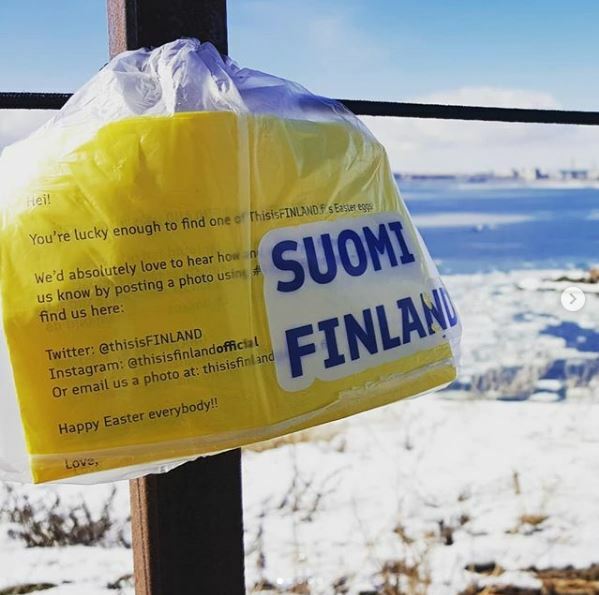 We go around Helsinki hiding candy eggs on a brisk spring day. The note in the packages read, “We’d absolutely love to hear how and where you found it!” Below are a few of the responses. 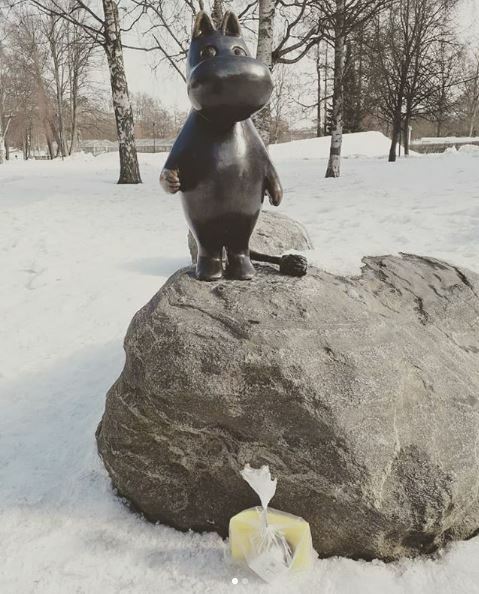 In Tampere: “I have found the Finland Easter Egg at the Moomin Museum.” Photo: S.W. 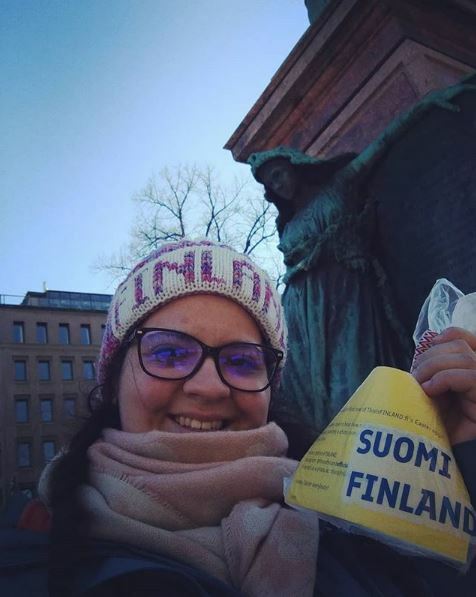 In front of Helsinki’s Lutheran Cathedral: “Lovely you ? thanks! 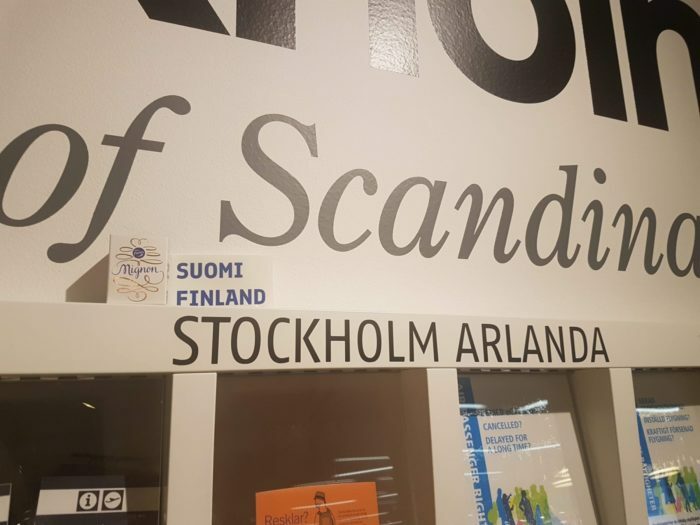 Have an amazing Easterrr!” Photo: S.S.
An idea that travels far: Can you spot the Mignon egg and the “Suomi Finland” sticker in this photo from the arrivals hall at Stockholm Arlanda Airport? Photo: Z.S. 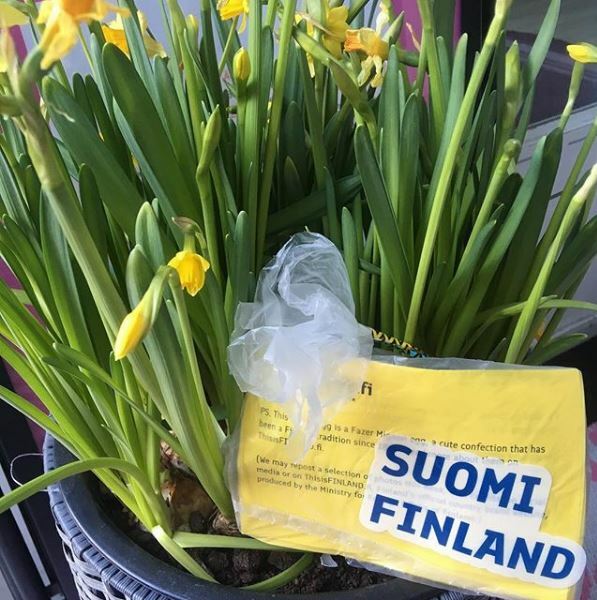 In downtown Helsinki: “Thank you, Finland!” Photo: N.L. PS. 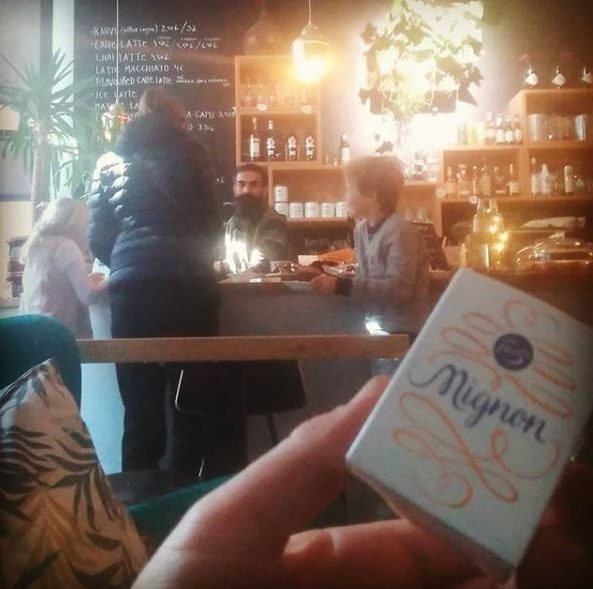 Click here for more about Fazer Mignon eggs and another Finnish Easter delicacy: mämmi. 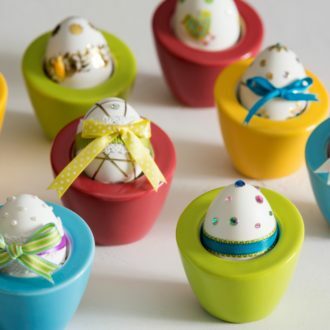 Finnish Easter traditions mix religion and rites of spring. 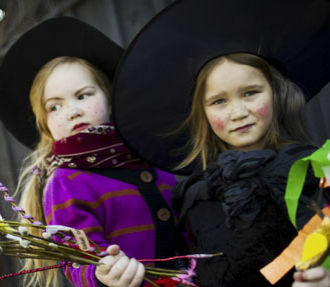 Beware: Miniature witches may ring your doorbell. We visit the exclusive yet modest Finnish Sauna Society just outside Helsinki. 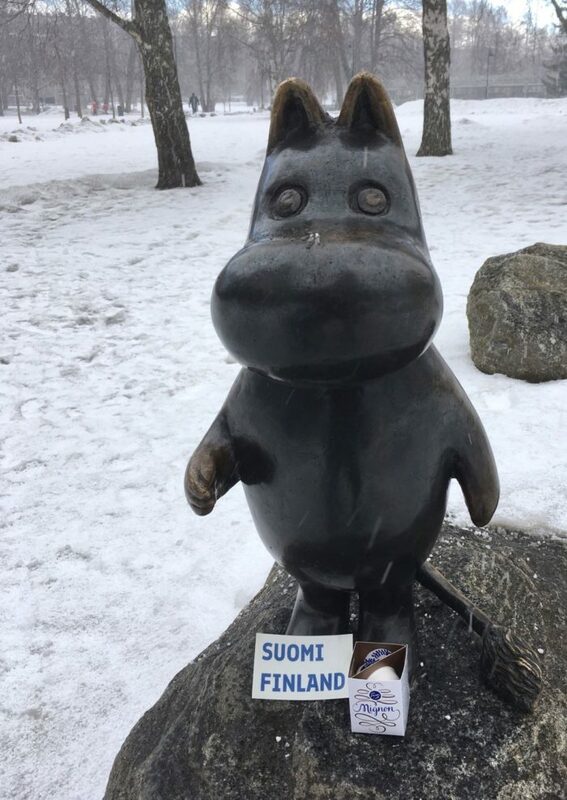 If Finland can be said to have an official sauna, then this is it. 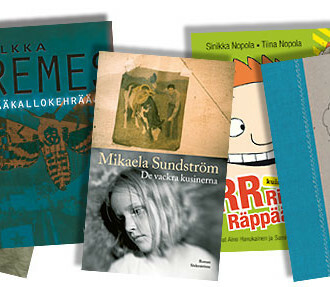 Finnish literature is going further than ever. 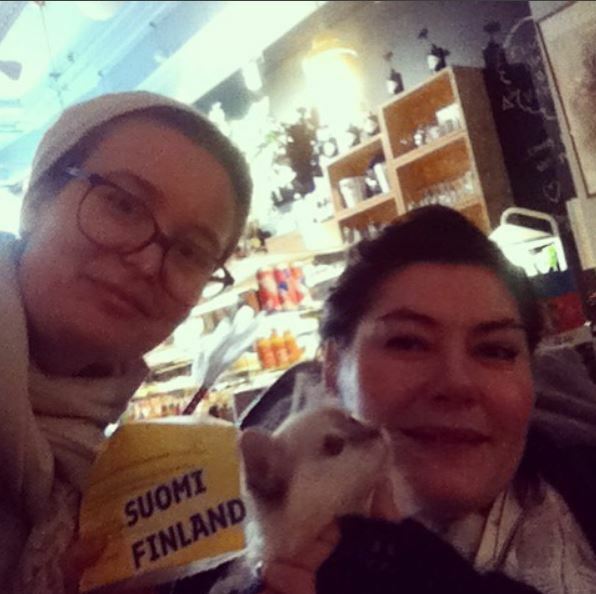 Join our tour of prose, poetry and publishing (and Finland-Swedish books). 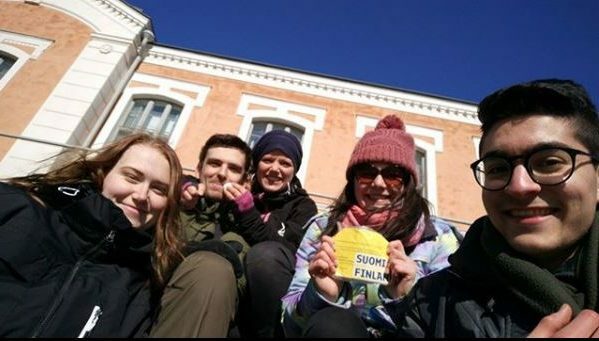 You may have heard rumours about Finland’s unconventional student culture, but you have no idea what you’re getting into. 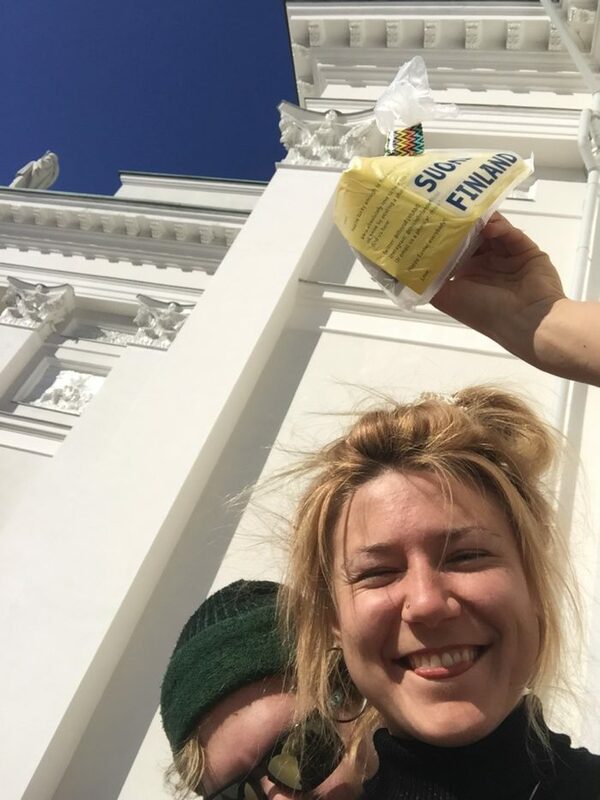 Five famous Finns reveal their festival faves. 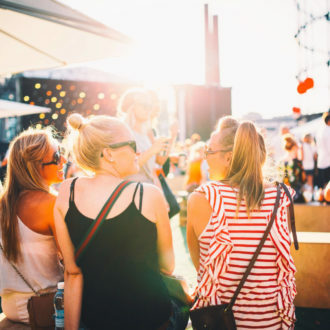 During the summer months in Finland, you can visit a different festival almost every day, and the events calendar continues into the autumn and beyond.